Please note: this product is now obsolete. View more information on the replacement part (10149764) here. 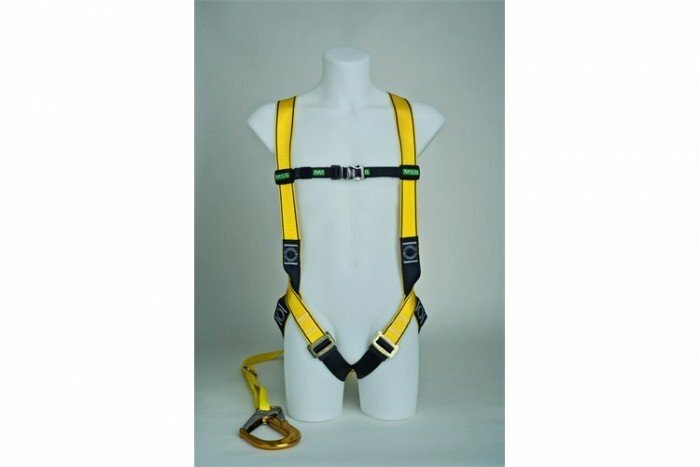 The MSA Workman Light is part of the fall arrest protection range Workman Harness Line. This particular kit comes in a size large with a single-leg lanyard and an aluminium scaffold hook.